Atletico Madrid vs Barcelona predictions and betting tips for Saturday’s La Liga fixture which kicks off at 7:45pm. As well as our predictions you can get a live stream online for this fixture and watch the match live, whilst following the progress of your bets at home. Barcelona’s stop-start season took another turn prior to the International Break with an unexpected defeat to Real Betis. The Blaugrana have only won seven of their 12 La Liga games this season and will face a difficult task in the capital. Atleti are always tough to break down and we’re predicting a fascinating duel between the duo. Barcelona have been far from convincing on the road this season and Ernesto Valverde’s side have struggled away from the Nou Camp. They had to come from 2-1 down to squeeze past Rayo Vallecano during their last away trip and they’ve dropped points against Leganes and Valencia. They also found themselves trailing to Real Sociedad back in September before launching a second-half comeback. This is their hardest away trip of the season so far and they won’t have it all their own way. Atleti have won four home matches on the bounce and are extremely well-organised and resolute under Diego Simeone. They’ve conceded just four times in eight matches and will not be a soft touch if they fall behind. Only Eibar have taken anything off them at this stadium so far and Barcelona are far too short in the match outright market here. They drew 1-1 here last season when they were arguably stronger and I’d prefer to keep the hosts on-side here. Although Messi returns to the side, Atletico Madrid Draw No Bet is available at 6/5 with William Hill and that is the first of our Atletico Madrid vs Barcelona predictions for Saturday night. Simeone’s side have lost just once at home since April 2017 and will be tough to breakdown. This game isn’t likely to be jam-packed with goals but it should be an entertaining contest. There have been either two or three goals in four of the last five meetings between these clubs and it looks a sensible way of betting once again. 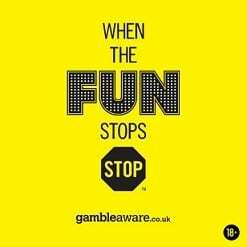 It has also occurred in four of the last five La Liga games for Atletico Madrid and it is available at 10/11 with Paddy Power. With statistics pointing us in that direction, 2-3 goals exactly is the second of our Atletico Madrid vs Barcelona predictions at the Wanda Metropolitana. One of Luis Suarez or Lionel Messi has found the net in each of the last six meetings between these sides and I expect that pattern to continue. The Argentinian is back to form and was back amongst the goals on his return two weeks ago. He made the different in the second half and he should be able to stamp his authority on this crucial game on Saturday. He scores important goals for his club and he is almost certain to start this game. Lionel Messi to Score Anytime is priced at 7/5 with Bet Victor and that looks decent value.